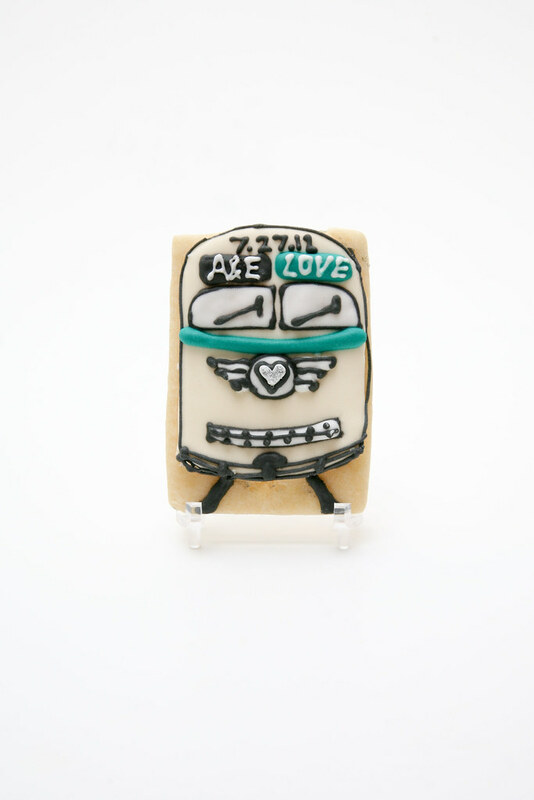 I made these "Retro" [in real life, historical] Streetcar cookies for a hometown friend, ordered by her Maid of Honor, Lauren. Lauren was so helpful and excited in explaining the details of Amanda's shower. 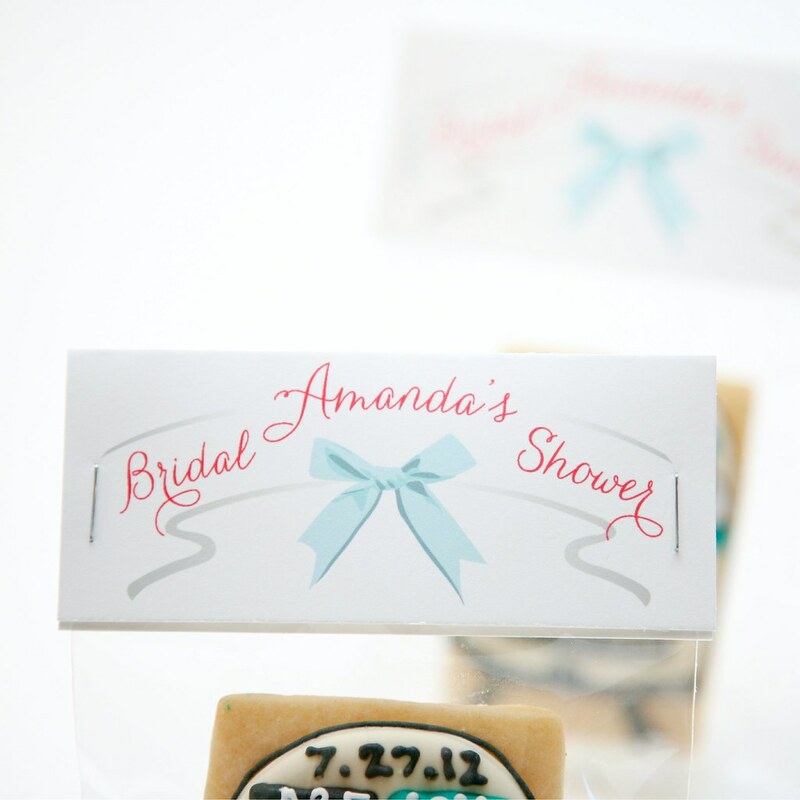 She gave me all sorts of insight into the decor of the shower, the invitations, and the bride herself that helped us come up with this unique cookie design. Amanda has a love of streetcars (like these ones). Market Street Railway sells these cool PCC Streetcar Posters, which were a big help in my designing process. Here's what I came up with! 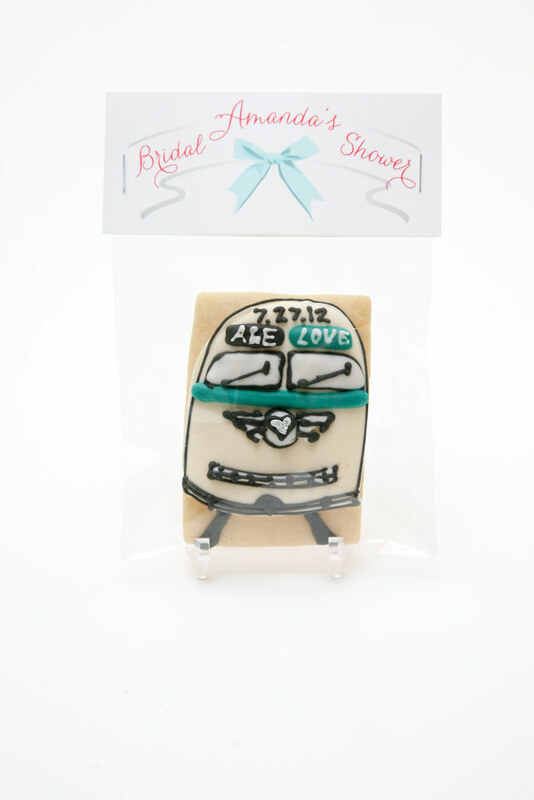 The tags were meant to be a hint of a "just married sign" (as if the Streetcar were there getaway car) and the whimsical details on the cookie (the bride and grooms initials, the wedding date, the colors, the destination: "Love", and the glittery heart) were intended to keep some bridal/wedding-like elements in the design. 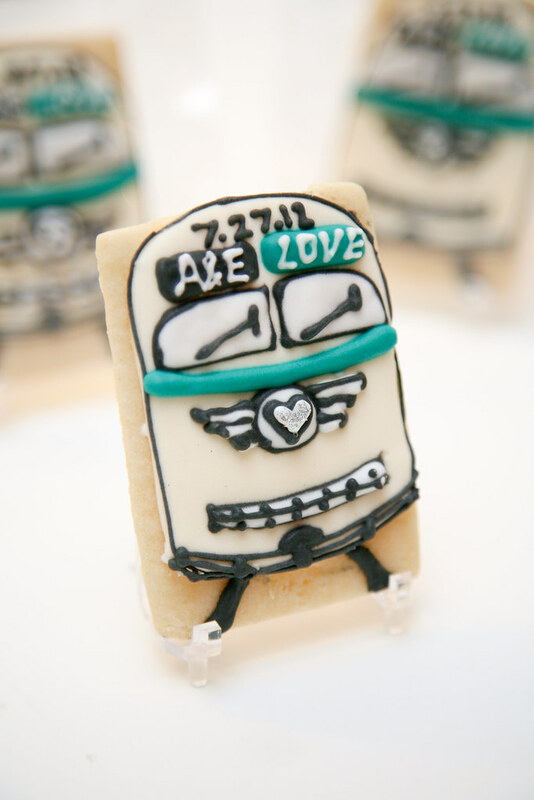 I had a great time planning and decorating this cookie and even better was all the lovely feedback I got from my friends from elementary/high school who were a part of Amanda's special day! Sweet nostalgia all around. 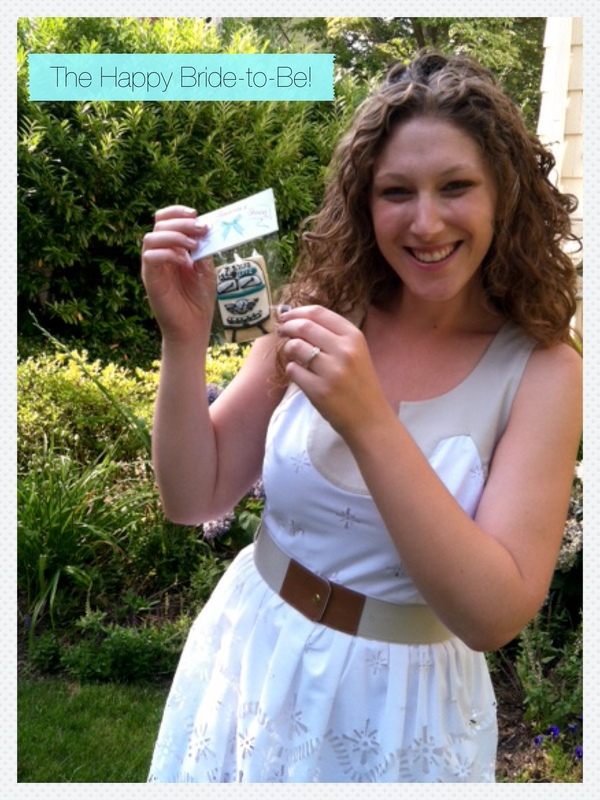 Thanks, Lauren, for the order and Congrats Amanda & Eric!! !